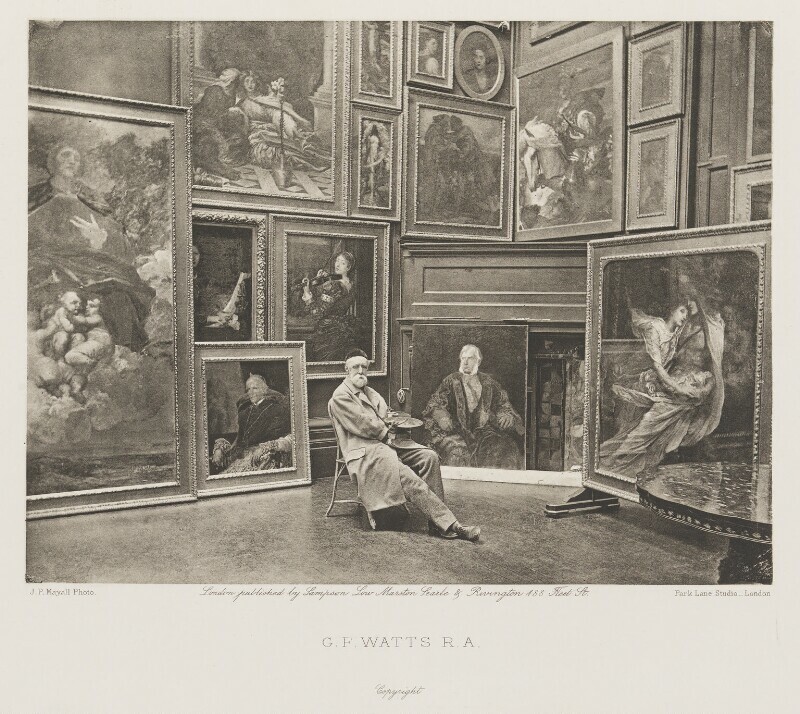 George Frederic Watts (1817-1904), Painter and sculptor. Sitter in 43 portraits, Artist associated with 91 portraits. Frank Dudman (1855-1918). Artist associated with 22 portraits. Sampson Low, Marston, Searle and Rivington. Artist associated with 376 portraits. Joseph Parkin Mayall (1839-1906), Photographer; son of John Jabez Edwin Mayall (née Jabez Meal). Artist associated with 32 portraits.